Scottsdale-based Mark-Taylor Residential is championing the future of apartment living with cutting-edge properties such as Vistara at SanTan Village. Vistara is located in Gilbert near the SanTan Village Mall along with many biking, hiking and jogging trails. One of Vistara’s hottest features is its many options for home automation. 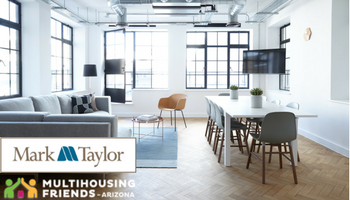 Matt Rogers, an asset manager for Mark-Taylor stated that the goal behind this smart living community is “geared toward making our residents’ lives just a little bit easier and helping develop technology for the multifamily industry,” according to KTAR News. Such home automation features include the control of thermostat, lighting, appliances, locks and windows from a smartphone or tablet. With luxurious one, two and three bedroom apartments, Vistara offers other excellent amenities in and out of the unit. Units offer granite countertops, walk-in closets, wood flooring and comfy carpeting. Residents can socialize and relax in the spacious common areas or the resort-style pool. Renters get fit in the 24/7 fitness center complete with yoga studio, spin bike room and virtual personal trainers. Mark-Taylor’s commitment to quality, luxurious properties is clearly evident in this state-of-the-art community.